The Digital Place Based Advertising Association (DPAA) is gearing up for its fourth annual private, curated, multi-day #CES2017 experience in Las Vegas, starting on January 2, 2017. The custom-tailored, member-only trip is being expanded this year in terms of participants as well as activities. For the first time, the DPAA excursion will include two tours: Tech East (described by CES as covering everything from “vehicle technology to all things ‘I'”) and Tech West (showcasing “the next wave of innovations that will shape the world”). The two tours cover multiple venues to which the 27 DPAA registrants will be escorted by private bus. Once there, the members will embark on tours led by a guide with expertise in all elements of CES and how they relate to the digital out-of-home industry and the advertising business. DPAA members will be connected to the expert tour director via headsets and microphones, enabling a more intimate experience in the midst of the 170,000+ CES attendees. In addition to seeing the latest and future technology that will impact their businesses, DPAA members will attend private, closed-door sessions with leading brand and agency executives. These year, advertisers will include senior level executives from the telecommunications, package goods, travel and auto arenas. These sessions will take place at the Aria Hotel, where DPAA members will be staying and which will play host to C-Space, the CES-run experiential program for advertising content, entertainment and marketing exhibitions. 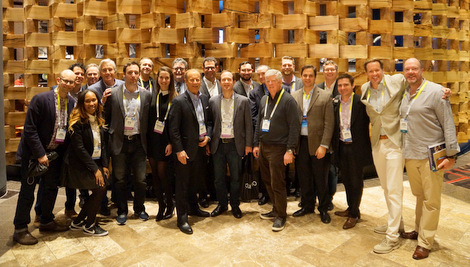 The DPAA group, which consists mostly of ‘C’ level media owners, hardware, software and research company executives, will also have access to CES events, advertiser/agency parties, conference sessions and even a CMO Lounge! The group’s experience will kick off with a private dinner and the full #CES2017 event runs through Monday, January 8, 2017 – it’s one of the first times we believe that #CES2017 will run over a weekend, Ed. In June 2016, the DPAA extended its curated tour program to include the prestigious Cannes Lions event in France. Frey said the 2017 DPAA Cannes Lions Experience is already more than 50% sold out to member companies that have signed on. The DPAA really has proven to be a business accelerator and concierge/consultant for members, who enjoy numerous benefits in addition to the opportunity to take part in the curated CES and Cannes Lions tours. These opportunities include admission to quarterly “mini summit” meetings with ad industry and DOOH leaders; access to an extensive database of research, best practices and case studies; tools for planning, training and forecasting; social media amplification; publication discounts; an opportunity to participate in media partnerships as well as the DPAA-Nielsen Service Bureau and DPAA-Nielsen Digital Diploma Series Training Program; insights on software and hardware solutions; further integration into the advertising ecosystem as part of the video everywhere conversation and marketing campaign; and more. This entry was posted on Thursday, December 15th, 2016 at 08:39 @402 and is filed under DailyDOOH Update. You can follow any responses to this entry through the RSS 2.0 feed. You can leave a response, or trackback from your own site.